David Henry Hwang’s Yellow Face, starring Francis Jue, Pun Bandhu and Thomas Azar, has performances at TheatreWorks through September 20. In David Henry Hwang’s stage mockdocumentary Yellow Face, a comedy of mistaken racial identity examining race and ethnicity in America, the award-winning playwright tackles backstage drama, culture collisions, racism, ethnic and Asian American identity and at its very core, his relationship with his father. Currently playing at TheatreWorks in Mountain View through September 20, Hwang’s Yellow Face, starring Francis Jue, Pun Bandhu and Thomas Azar, is a scathingly funny and smart satire that blurs the line between fact and fiction, and is his most personal work to date. Seen through the lens of his alter-ego DHH (Hoon Lee), the story begins in the early 90’s, when David led the protest against the hiring of Jonathan Pryce in the original Broadway production of Miss Saigon. The playwright pokes fun at himself as an Asian American role model, lays out the backstage politics of the theater world and weaves key touchstone scandals that affected the Asian American community in the 90’s, like the campaign finance scandals known as Donorgate, the persecution of Wen Ho Lee, the Chinese American nuclear scientist who was accused of treason, and his father being accused of laundering money for the Chinese, most all but forgotten by the mainstream media. Under the direction of Robert Kelley, Pun Bandhu plays the playwright’s alter ego DHH, Thomas Azar is Marcus, and a dizzying number of characters are played by Francis Jue, Howard Swain, Robert Ernst, Amy Resnick and Tina Chilip. During the 2007- 2008 run of Yellow Face at The Public Theatre, Jue distinguished himself as Hwang’s father, Henry Y. Hwang, who founded Far East National Bank, the first Asian American-owned federally chartered bank in the continental United States. Jue’s moving and heartfelt portrayal of HYH — a successful, charismatic Chinese American banker who sees himself as equal parts Jimmy Stewart, Clark Gable, Gary Cooper and Frank Sinatra in pursuit of the American Dream Hollywood style, but after he is accused of laundering money for the Chinese, subsequently loses faith in the American system. The consummate actor received rave reviews for his turn in Yellow Face, a 2008 Obie Award, the 2008 Lucille Lortel Award for Outstanding Featured Actor, and was nominated for a 2008 Drama Desk Award for Outstanding Featured Actor in a Play. The San Francisco native made his New York stage debut in Steven Sondheim and John Weidman’s Pacific Overtures in 1984, appeared on Broadway in Hwang’s M. Butterfly in 1988 and originated the role of Bun Foo in Thoroughly Modern Millie(2002). No stranger to accolades, he received San Francisco Bay Area Critics Circle Awards for his star turns in the TheatreWorks productions of Cabaret and Red; for his acting and choreography on Into the Woods and Pacific Overtures, and a DramaLogue Award playing Molina in Kiss of the Spiderwoman. Equally at home in a play or a musical, he’s played the title roles in Amadeus and the The King and I opposite Debby Boone, and has worked at the Public Theater in The Tragdedy of Richard II, Chay Yew’s A Language of Their Own, King Lear, Timon of Athens, Pericles, Hamlet AND The Winter’s Tale. Television audiences may be familiar with him as Dr. Fong on Law & Order: SVU and Dr. Yamagachi on One Life to Live. I thoroughly recommend seeing Yellow Face during the limited run at TheatreWorks in Mountain View. For more onYellow Face, check out my exclusive interviews with David and Francis, when Yellow Face was at The Public in 2008. 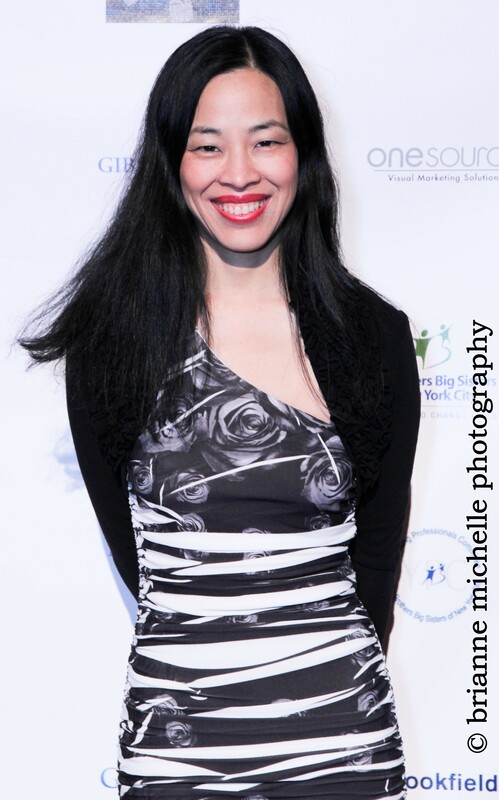 Hwang received a 2008 OBIE Award for Playwrighting and Yellow Face was a finalist for the Pulitzer Prize. $24-$62. Mountain View Center for the Performing Arts, 500 Castro St., Mountain View. (650) 463-1960. www.theatreworks.org. Who is Ethnic Chinese anyway? 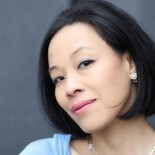 This entry was posted on September 5, 2009 by Lia Chang in Asian American Artists, Asian American Issues, Asian American Pioneers, Chinese American History, Entertainment, Theater and tagged David Henry Hwang, Pun Bandhu, robert Kelley, theatreworks, Yellow Face.